Welcome to Napleton Mazda, your family owned Mazda dealer in Bourbonnais, IL for over 85 years. We are proud to be the premier destination to shop for a new, used or pre-owned Mazda in the region. In fact, our customers come from far and wide to shop with us, including Frankfort, Kankakee, New Lenox and Matteson, IL. Truly, you would be hard-pressed to find a better selection of vehicles anywhere else. We also have a dedicated financing department and certified Mazda service center on site. If you’re looking for an easy, no-hassle approach to the car shopping process, then we invite you to give us a try. Here we keep things simple. We have low prices, an unbeatable selection and world-class customer service. Whether you’ve been shopping with us for years or you’re a new customer, everyone is treated like family at Napleton Mazda. In fact, it’s our straightforward approach that really makes a difference for our customers. At Napleton Mazda you will find all the newest models from Mazda, including the CX-5, CX-9 and Mazda3. 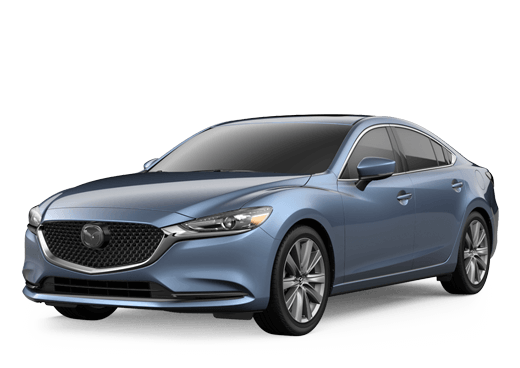 Whether you’re looking for a sporty hatchback or sleek sedan, you’re sure to find it at Napleton Mazda. Choose from our extensive selection of models in stock or work with our team to order a custom model straight from the factory. Whether you choose to lease or buy, our experienced team of experts will work with you to help you find the best financing options. In addition to our large new vehicle inventory, be sure to explore all our used and Mazda Certified Pre-Owned models. Every vehicle has been hand-picked for our showroom and has passed a rigorous multi-point inspection. In fact, we carry models from a wide variety of brands, not just Mazda. There you will find sedans, crossover SUVs, coupes, trucks and much more for every budget. Experience the Napleton Mazda difference today! Browse our complete inventory online or stop by and see all that we have to offer with a visit to our state-of-the-art showroom. We look forward to speaking with you! Your dream car awaits at Napleton Mazda!